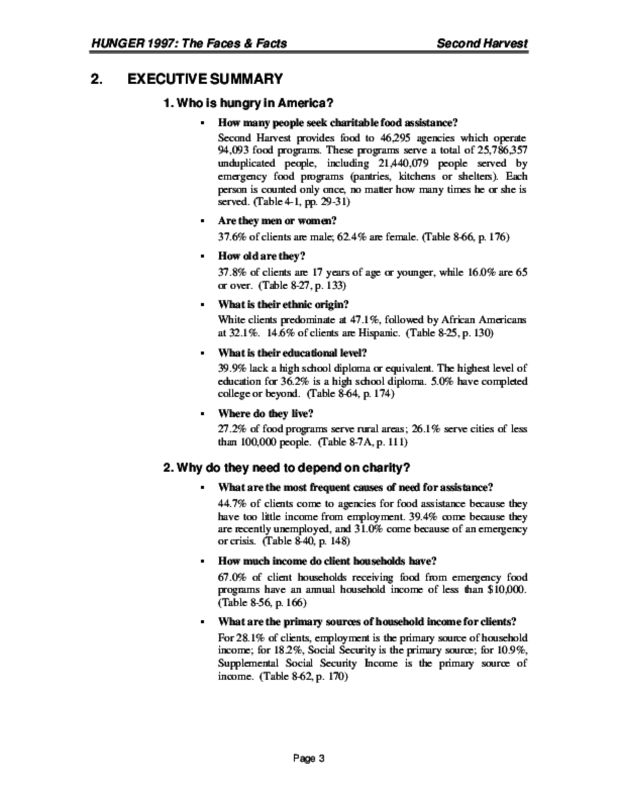 In 1997, Second Harvest, the national network of food banks, in conjunction with its member food banks, conducted extensive research into the distribution of emergency and non-emergency food to the needy in America. 79 of the 185 (at the time of the study) member food banks participated in this project. This report presents the results. Copyright 1998 Feeding America (formerly America's Second Harvest). All rights reserved.